Chicago is the team everyone envisions as this year’s version of the Los Angeles Rams in 2017. The Bears added Matt Nagy, a great offensive mind, as the leader of the team and the man to help develop Mitchell Trubisky. Once Chicago brought in Nagy, it immediately upgraded the weaponry around Trubisky. Allen Robinson gives him a No.1 receiver, Trey Burton is a breakout target at tight end and Taylor Gabriel is a chess piece. Meanwhile, the backfield is set with Jordan Howard and Tarik Cohen. Now all of these young players just need to click under a new coach. 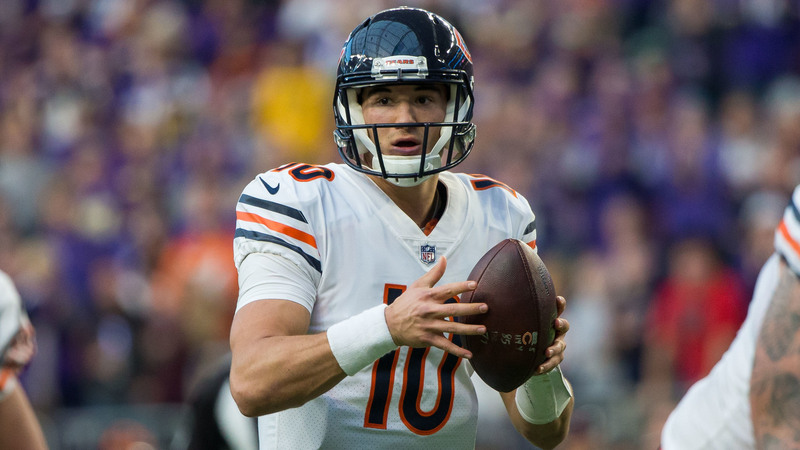 If it does and Trubisky takes a Jared Goff-like step forward, Chicago will quickly rise in the NFC North. Odell Beckham Jr., Sterling Shepard, Evan Engram and Saquon Barkley. Together, New York’s fearsome foursome might become the NFL’s best supporting cast. Sadly, quarterback and offensive line play drag them down to No. 15 on this list. Perhaps Manning can bounce back and average seven-plus yards per attempt with an 82-plus quarterback rating. But most quarterbacks don’t get better as they soar past the age-35 milestone. Even if they did, the situation is made worse by the offensive line protecting Eli. New York committed itself to Manning when it selected Barkley over a plethora of young quarterbacks with the No.2 pick. It could pay off, but it might also be the decision that greatly holds this team back for several years. It’s the question that will decide San Francisco’s future: Just how good is Jimmy Garoppolo? According to Pro Football Reference, the 26-year-old averaged over eight yards per attempt and completed 67 percent of his passes in five starts last season. At the same time, his six touchdowns to five interceptions is an ugly ratio. The hype around him is real and for good reason. Head coach Kyle Shanahan is an offensive guru and has now had half a season and a full offseason to develop his quarterback. This could be the next great coach-quarterback duo, but San Francisco’s offense is still a few pieces away from being considered a top-10 offense in the NFL. If Garoppolo lives up to the hype, then they will get a lot closer to it. After Tennessee’s offense finished in the bottom third of the NFL last season in yards per game, change became necessary. Now under the direction of a new head coach and a young offensive coordinator, there is a chance to reach new heights. Marcus Mariota can be a very good quarterback. The key to unlocking his potential is a good play caller scheming an offense to fit his strengths with weapons to help make achieving success easier. The backfield is set with Derrick Henry and Dion Lewis. As for weapons, Corey Davis, Delanie Walker and Rishard Matthews should be reliable targets for Mariota. Now it’s up to Matt LaFluer, who worked under Sean McVay and Kyle Shanahan. If he can bring the innovation to this offense, get ready for fireworks in Tennessee. The passing game isn’t a concern for Detroit. 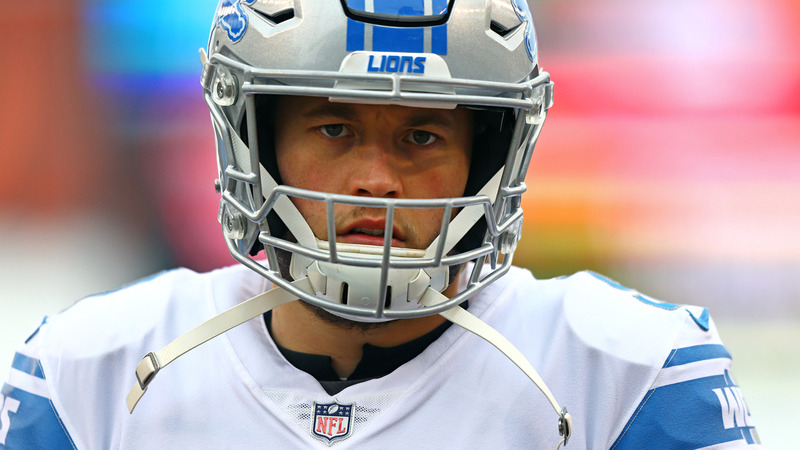 The Lions finished sixth in passing yards per game (261) and fifth in quarterback rating (98.4) as Matthew Stafford continues to prove he is still underrated. The question, as always, comes down to the running game. LeGarrette Blount gives this team a bulldozer, while hope will once again ride on a promising rookie running back to emerge. It’s a familiar storyline and Detroit now hopes Kerryon Johnson will yield better production than Ameer Abdullah gave them in recent years. Naturally, injuries struck this offense before the hype train could even think about leaving the station. Despite Hunter Henry’s absence, Los Angeles should be a fun offense to watch this season. Philip Rivers can still be a very good quarterback and the offensive line is greatly improved from last season, health permitting. An improved offensive line will open up running lanes for Melvin Gordon. Pair a running game and passing games that must be respected with the Chargers’ top-10 defense and you’ve got a real playoff contender in the AFC. Houston’s stretch of dominance with a healthy Deshaun Watson last season keeps them in this spot. But of the top-20 teams on this list, Houston’s placement is the most volatile. In Watson’s case, he needs to show he is fully healthy and maintain production close to what we saw from him as a rookie. The backfield duo of Lamar Miller and Donta Foreman is talented enough to provide a threat teams must respect. At wide receiver, DeAndre Hopkins and Will Fuller make for an exciting duo and the pair excelled with Watson under center. If we see the healthy version of Watson, this team will thrive in the AFC. If he gets hurt, Houston will have a catastrophic problem. As long as Aaron Rodgers is under center, Green Bay will have one of the NFL’s best offenses. Of course, that troublesome collarbone sits in the back of everyone’s mind. Before he fractured his collarbone, he picked defenses apart. According to Pro Football Reference, the two-time MVP completed 66.9 percent of his passes and had 100.7 quarterback rating through his first four games. So this isn’t a question of his talent. The additions of Jimmy Graham and Marcedes Lewis make this team lethal in the red zone. Rodgers holds a career 101.4 quarterback rating and 207 touchdown passes to just nine interceptions in the red zone. Now he’ll have Davante Adams, Graham, Lewis and Randall Cobb to target. A three-headed backfield of Aaron Jones, Ty Montgomery and Jamaal Williams is begging for someone to step up. If one of them does, not even the league’s best defenses will want to face Green Bay. Running back Kareem Hunt excelled last season as a rookie with over 1,300 rushing yards and 455 receiving yards. Meanwhile, tight end Travis Kelce and wide receiver Tyreek Hill combined for 2,200-plus receiving yards and 15 touchdowns. 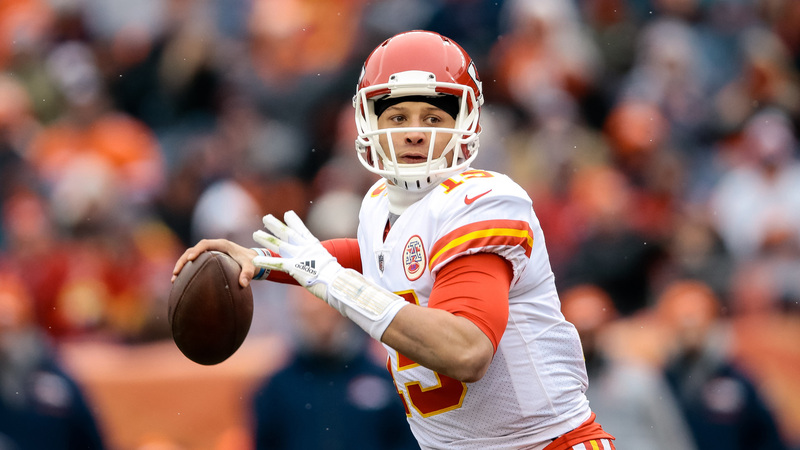 The Chiefs also gained running back Spencer Ware, who was injured last year, and wide receiver Sammy Watkins, who will further supply quarterback Patrick Mahomes with the weapons for success. Now it all comes down to Patrick Mahomes. In his second year and first as a starter, he’ll need to limit the crippling mistakes and maximize the big-play opportunities. If he does, Kansas City’s offense can carry them to a playoff spot. Sometimes all it takes is an innovative coach to turn an offense around. Head coach Sean McVay did just that in Los Angeles, turning Jeff Fisher’s paint blobs into a fine piece of art that dazzled football fans. The masterpiece started with running back Todd Gurley. Under Fisher, Gurley averaged 3.2 yards per carry and 1,212 total yards in 2016. Last season with McVay, the do-it-all back finished with 2,093 total yards and averaged 4.7 yards per carry. Brandin Cooks adds a game-changing vertical threat to open the field up more for Robert Woods and Gurley. While it might be tough to repeat last year’s level of success, this will be one of the best teams in football. Before he tore his ACL, Wentz seemed destined to win the MVP award. As the Eagles rolled towards the No.1 seed in the NFC, the 25-year-old held a 101.9 quarterback rating and a 33-7 TD-INT ratio. This is an offense fully capable of leading the league in points. Philadelphia has a balanced attack, but one factor will be key. The health of Wentz and left tackle Jason Peters will determine just what level of success Philadelphia’s offense reaches in 2018. An offense that finished top-10 in points per game and top-12 in yards per game made significant improvements this offseason. While Case Keenum played well, Kirk Cousins is a superior quarterback and will elevate this passing attack. Cousins will certainly look towards Stefon Diggs and Adam Thielen often this coming season. Both are supremely gifted wide receivers and could combine for 2,400-plus yards and 15-plus touchdowns in 2018. Running back Dalvin Cook is the real threat to take this offense to the next level. Before he tore his ACL in Week 4, he averaged 5.2 yards per touch last season. He should be fully recovered from knee surgery and ready to deliver Pro Bowl-caliber production. Atlanta’s offense enjoyed remarkable success in 2016 when it averaged 33.8 points and 415.8 yards per game in 2016. Then Steve Sarkisian came in last year as the play caller and the results, his offense averaged 22.1 ppg and 364.8 ypg. Sarkisian must make adjustments to reverse poor trends from 2017. 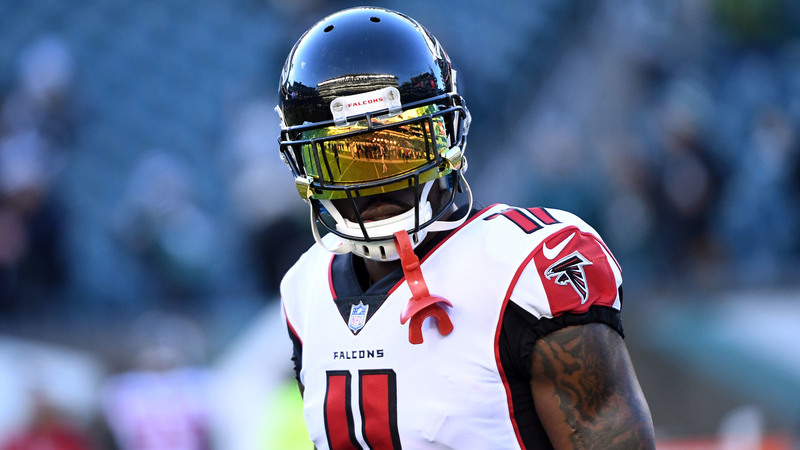 Among them, Julio Jones finished with only three touchdowns and Devonta Freeman and fell short of the 1,000-yard mark. Everything is there for this to be a top-five offense. Matt Ryan is an excellent quarterback with an arsenal of Jones, Mohamed Sanu, Freeman and Tevin Coleman. Atlanta’s addition of Calvin Ridley will add another dimension to its offense. If Sarkisian can’t make it work for a second consecutive season, his days in the NFL might be over. Even if some of the pieces around him are questionable, Tom Brady finds a way to make this offense great. When he lost wide receiver Julian Edelman last season, he still found a way to help the Patriots lead the league in total yards (6,307). While New England lost running back Dion Lewis and wide receiver Brandin Cooks this offseason, it added running back Sony Michel and welcomed back Edelman. Meanwhile, tight end Rob Gronkowski and offensive coordinator Josh McDaniels are also back. Edelman’s four-game ban will hurt this offense and Michel will hit some bumps as a rookie. Of course, the Patriots will overcome all of that and still finish with one of the most productive offenses in the league. The duo of Sean Payton and Drew Brees has consistently made the Saints’ offense one of the best in the NFL for nearly a decade. Even as the offense has adapted from a pass-heavy machine to a well-balanced attack, the Saints continue to march. Last season, we saw Alvin Kamara and Mark Ingram form an explosive backfield. Together, they combined for 3,000-plus total yards and 25 touchdowns. Now Kamara is set for an even larger role with Ingram suspended for four games. The wide receiving corps is headlined by Michael Thomas, who is already one of the best in the NFL as a 25-year-old. The passing game could take a step further if Cameron Meredith, who missed 2017 with a torn ACL, can return to his 2014 form. Ted Ginn Jr. adds a vertical threat that nearly set a career-high in receiving yards in 2017. The top three offenses in the NFL are all fairly close. Both from a talent and depth perspective, a compelling case could be made for each of the top-three offenses. Pittsburgh holds the edge here with none of its main contributors suspended. Pittsburgh’s offense is centered Antonio Brown and Le’Veon Bell, arguably the best players at their respective positions. Ben Roethlisberger remains one of the NFL’s best quarterbacks and may try and prove himself even more after Pittsburgh drafted Mason Rudolph. Add in second-year receiver JuJu Smith-Schuster, who could emerge as a top-25 receiver, and a potentially record-setting offense seems poised to reach new heights in 2018.